So, a group of high school friends make a pact to lose their virginity. Sound familiar? Yeah, it's the plot of the movie American Pie. And now a confession, I actually liked that movie. So, when I saw what is basically a female-version of the same type of story, I decided to check it out. While sexual situations are depicted in a way that is more graphic than one would normally find in a Young Adult novel (although I didn't find it overly graphic), this book is far less crude than American Pie, which is definitely a good thing. I really don't think that sort of humor would work in a story about girls...and I felt that this story could be told in a different way. For the most part, Rosin succeeds. The predicaments and emotions that these seventeen year old girls face were realistic and treated with care. I believed the friendship between the four and while I found the pact a little trope-ish, I didn't actually question it. As for for the individual girls, here is where the book went hot and cold with me. I enjoyed reading about Layla and Emma. Layla, the ringleader of the group, is the girl who seems to have it all together but maybe, under the surface, that isn't the case. She also puts herself under immense amounts of pressure, much of which is self-manufactured. Emma's story is probably the most unique of the book and is handled with immense care (and I'm not going to say more about it!). But then we get to Alex and Zoe. I have to admit that these two characters really blended together in my mind and even now I can't tell you distinctly what happened in each story. I wish that these two characters had something that really stood out to me, but it just wasn't there. I almost feel as though the book would have been better if the pact had only been between Layla and Emma (and maybe a third character that was either Alex or Zoe...doesn't matter which) and then had Rosin dove deeper into their stories. While this wasn't a wholly successful novel for me, it was still enjoyable and one that I would plow through again. 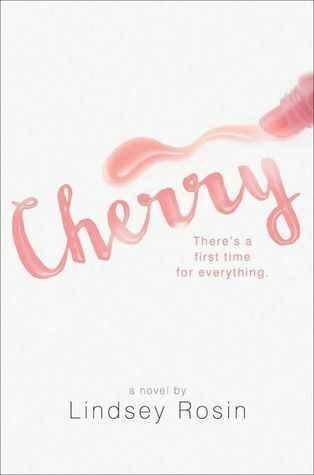 If you are looking for a fun, quick YA read, Cherry might be just the ticket.